Betty Marshall went home to be with the Lord on January 16, 2019. Betty was born December 24, 1941 in Carroll County off Folds Road and lived on Horsley Mill Road near The Church at Pleasant Hill her entire life. She was a member of the first graduating class at Central High School in1960. Betty worked briefly at Lawler Hosiery Mill before starting with Southern Bell in 1967. She worked for the phone company for 28 years and retired in 1995. After retirement, she and her husband built her dream home on the exact spot she had wanted to since childhood. She enjoyed spending time with her grandchildren and family, cooking, reading, and working around the house and property where she grew up. 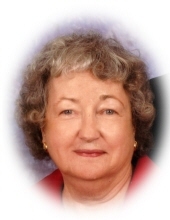 Betty was a member of Eastside Baptist Church where she taught Sunday School and was active in the ladies’ ministry. Betty is survived by her devoted husband of 59 years, Grover Marshall; son and daughter in law Kevin and Pam Marshall, son and daughter in law Kyle and Tracy Marshall, brother Frank Williams; grandchildren Randy Marshall, Jessica and Justin Davis, Seth Marshall, Sydney and Drew Knowles; great grandchildren Juliana and Jaz Davis, and numerous nieces and nephews. Betty is preceded in death by her father, Howell Williams and mother, Lola Williams. Betty cared for both of her parents during illnesses in their last years and was truly a devoted daughter. The family will receive friends at Almon Funeral Home from 5 pm to 7 pm on Friday, January 18. The funeral will be held at Eastside Baptist Church at 2 pm on Saturday, January 19,2019 with Rev. Gary Brown officiating. Pallbearers will be Randy Marshall, Seth Marshall, Justin Davis, Drew Knowles, Dale Wallis, and James Williams. Honorary pallbearers are Frank Williams and Gordon Marshall. Betty will be buried at The Church at Pleasant Hill. In lieu of flowers, memorial donations may be made to the Alzheimer’s Association. See link below to make donation. The family would like to thank the wonderful angels from Visiting Angels (Shelly, Claudine, Marie, Brittany, and Nela) and the nurses and aides from Halcyon Hospice (LaShannon, Ashley, Crystal, Debra, and Gina) for their devotion in caring for Betty over the last two years. 42 Little New York Rd. "Email Address" would like to share the life celebration of Betty Williams Marshall. Click on the "link" to go to share a favorite memory or leave a condolence message for the family.